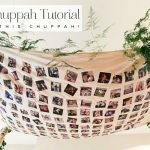 My chuppah ideas page is one of the most popular pages on my Jewish wedding blog, and whilst it’s filled to the brim with chuppah inspiration, what’s missing from it is a DIY tutorial on how to build a beautiful chuppah yourself. 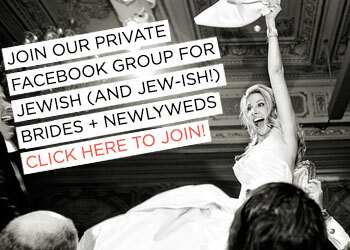 And what could be better than making your own chuppah? 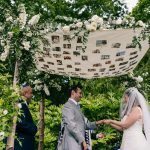 After all, the chuppah symbolises the home that you and your partner will build together during your marriage, and by making it yourselves, it will feel that much more special standing under it during your ceremony. 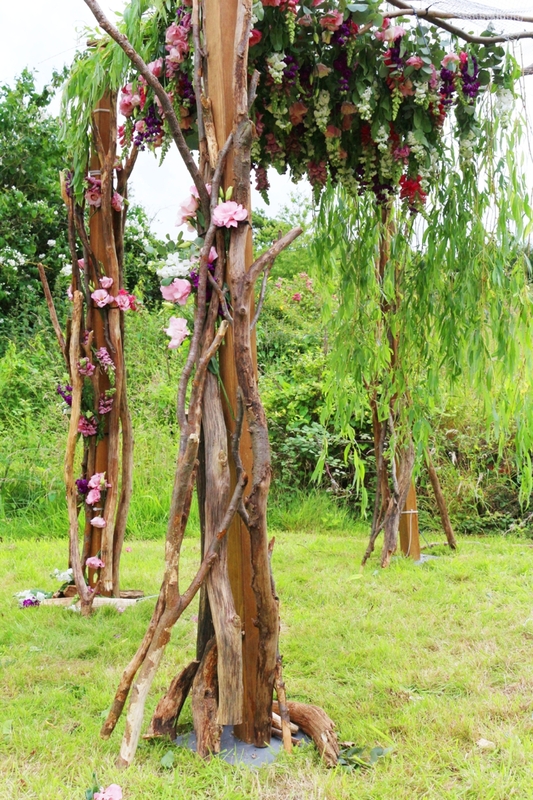 You needn’t worry if you’re not particularly green fingered or creative, as the fabulous Fiona from Revival Rooms has come up with a step-by-step guide for a stylish rustic alternative to the traditional Chuppah with a floral canopy which is genuinely breathtaking. And the best part? It’s relatively simple to recreate… and cost-effective too! 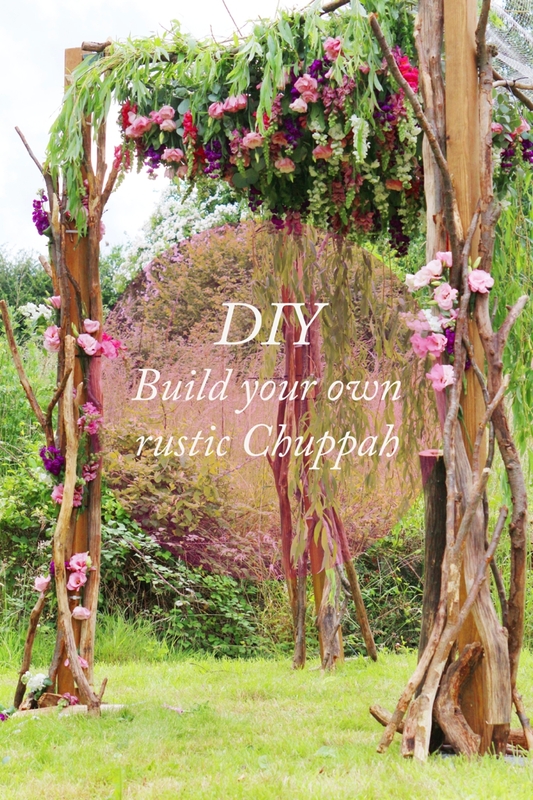 Here’s Fiona’s step by step guide to building a chuppah. 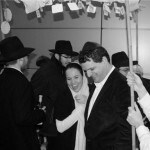 Before you start, it is important to have base poles for your Chuppah. We went to our local B&Q (a DIY supplies store), purchased 4 posts of our desired size, drilled holes into each bottom, and had base plates made at our local hardware shop. 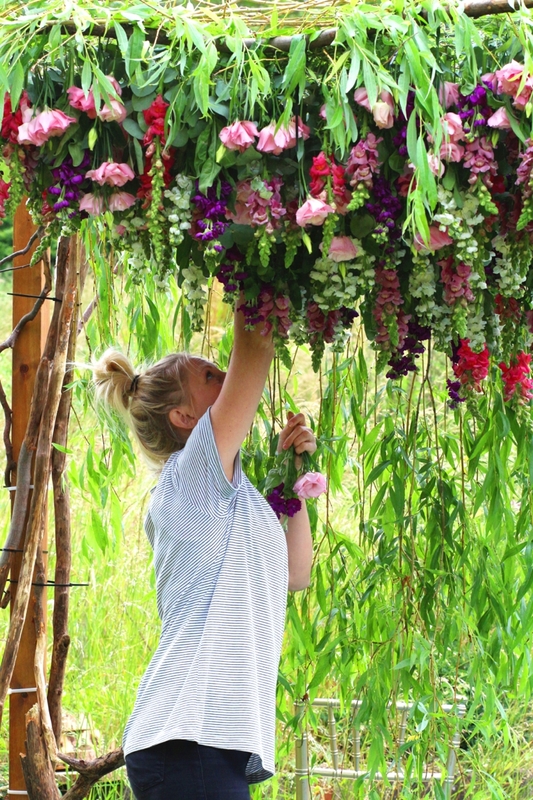 The floral canopy can become heavy and it’s important that you have sturdy enough posts to take the weight. 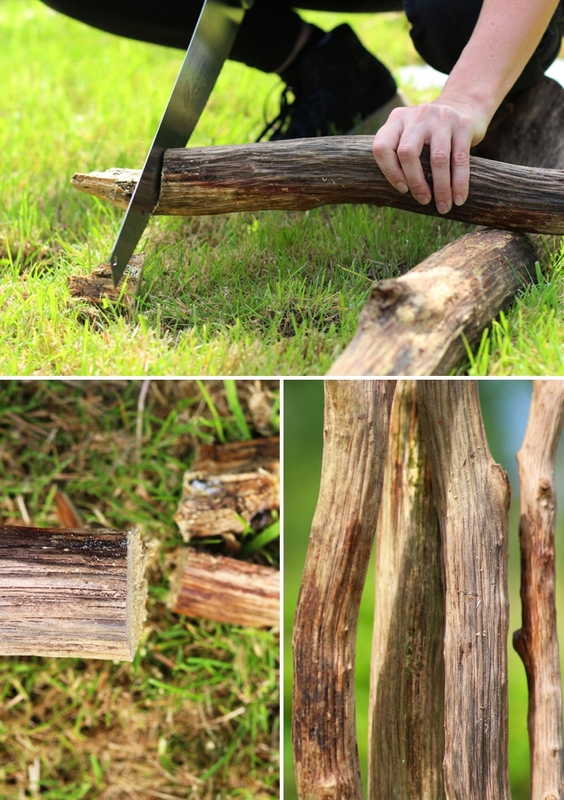 Sticks and twigs just won’t be up for the job. Once you have your posts in place you are ready to begin! 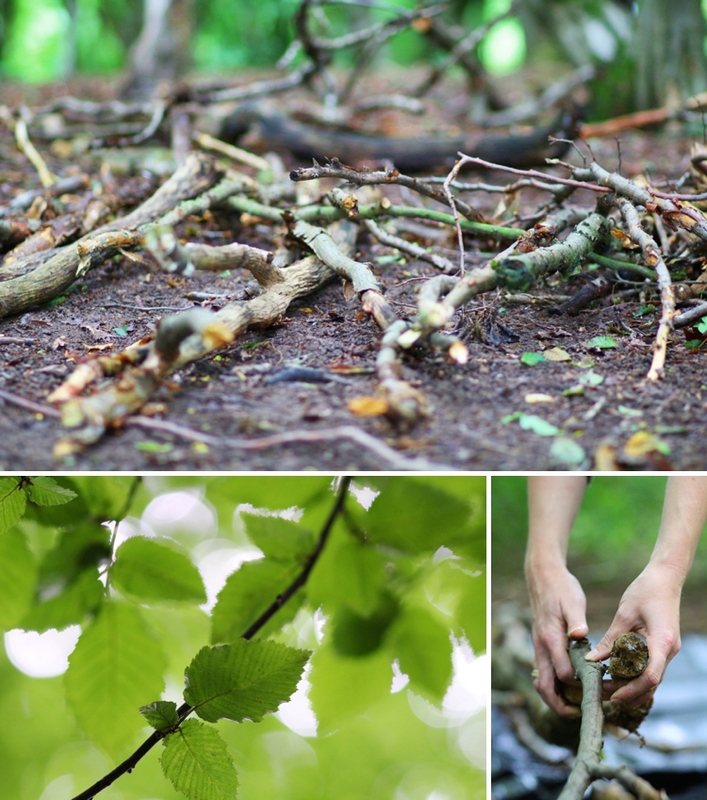 Head to your local forest or woodland and collect an assortment of sticks and twigs. 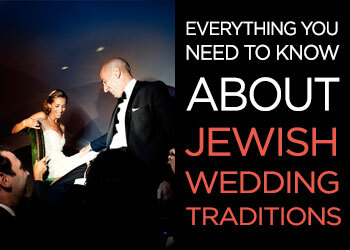 You want various shapes and sizes to adorn your Chuppah, including some very long ones from which to create the canopy. 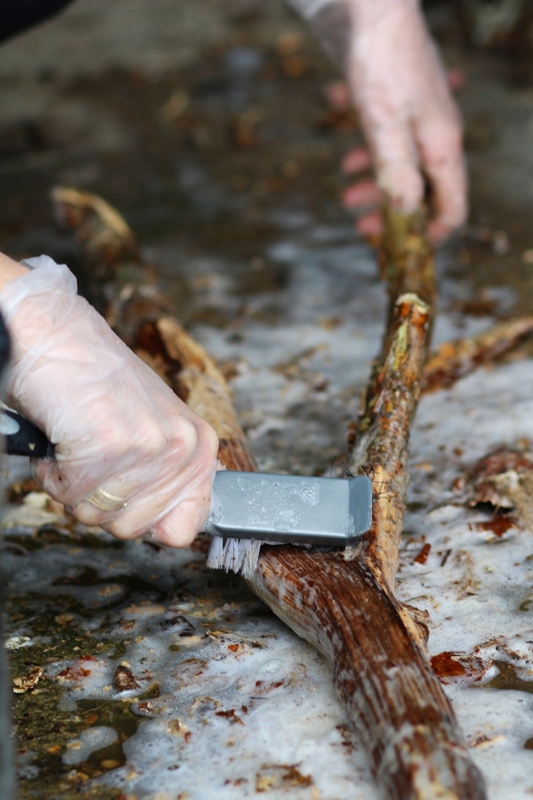 Clean up branches using hot soapy water and scrubbing brush, and leave them to dry. You want them to look clean and shiny for your big day. 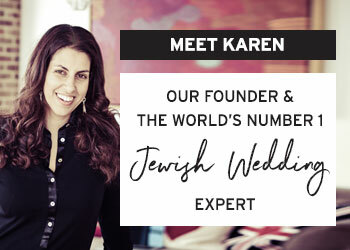 Position the four posts to the correct size you want your Chuppah to be exactly where your ceremony will be taking place – you don’t want to be moving your Chuppah once it has been created. 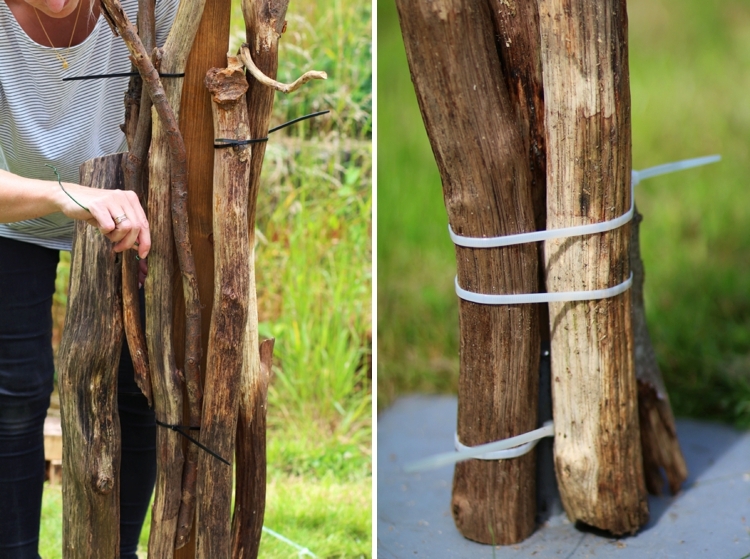 Using cable ties, start attaching the sticks and twigs to the posts one by one, and experiment with different lengths and shapes to get the desired look you want. 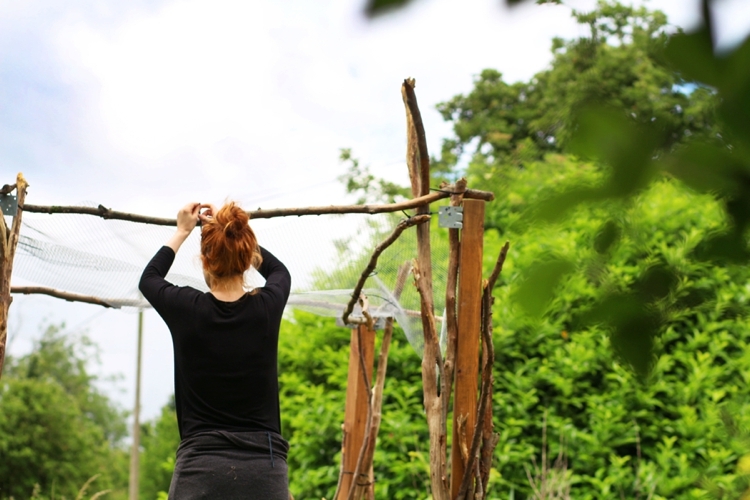 Using a step ladder, create the canopy outline using your longest branches and attach them to the posts using cable ties. 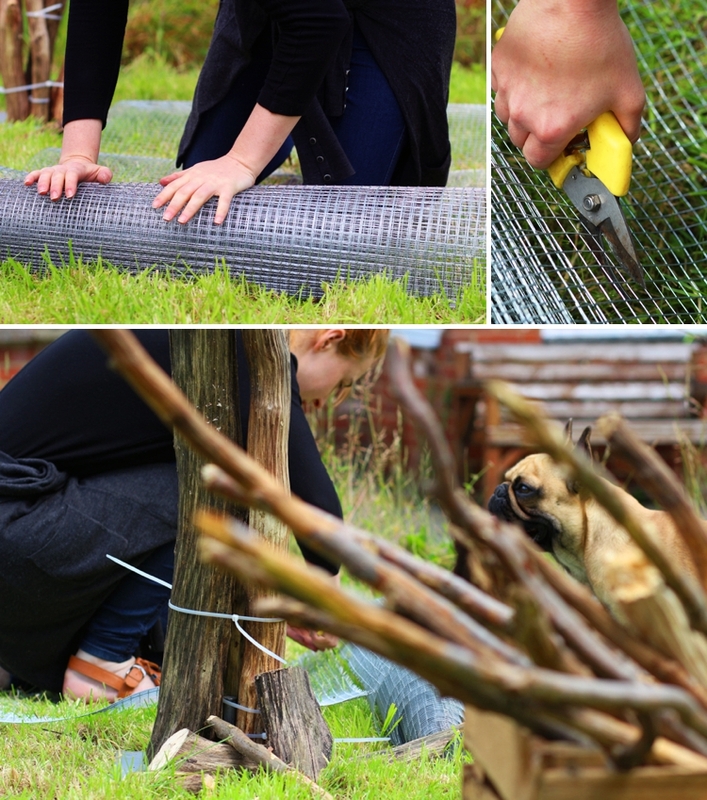 Roll chicken wire out along the floor next to the Chuppah to make sure you cut it to the correct length. We used 1 metre wide chicken wire and needed 2 pieces to create our ceiling canopy. 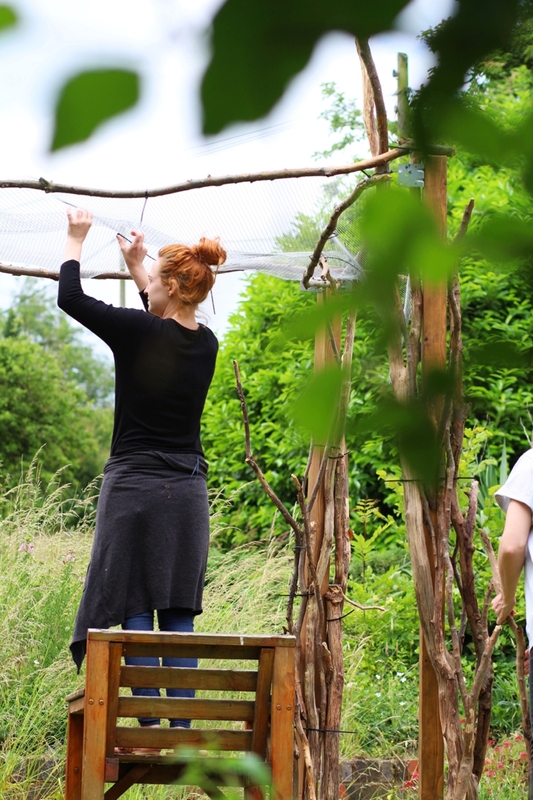 Stand on a step ladder and position the chicken wire over the Chuppah roof so there is a slight overhang on each side. 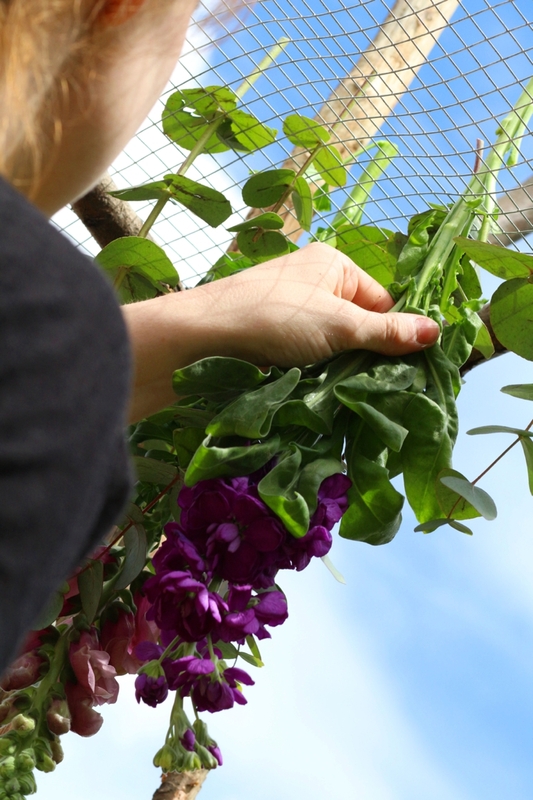 Staple, or cable tie the chicken wire to the branches to create a ceiling, pulling tight to make sure there is no wire drooping down. Cut off the excess once you have covered the ceiling. 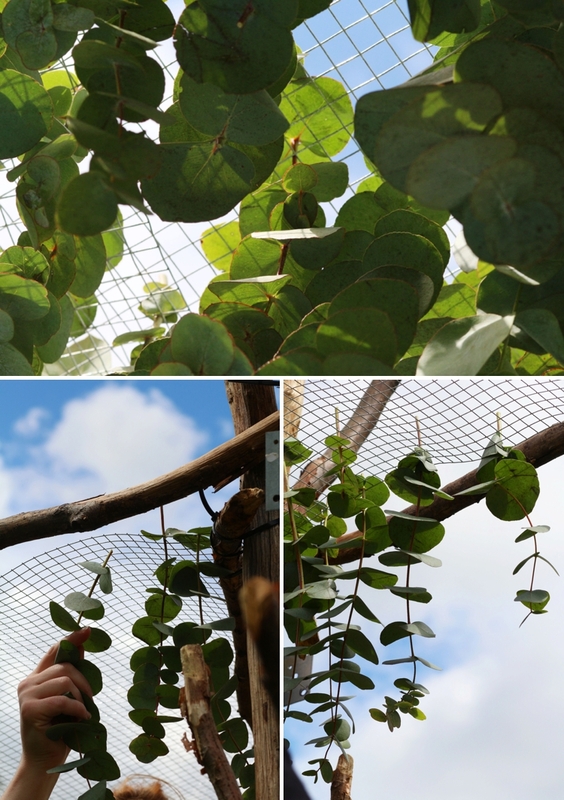 Cut your Eucalyptus down to three different lengths and start poking this through the chicken wire ceiling, using the leaves as anchors to stay in the ceiling. 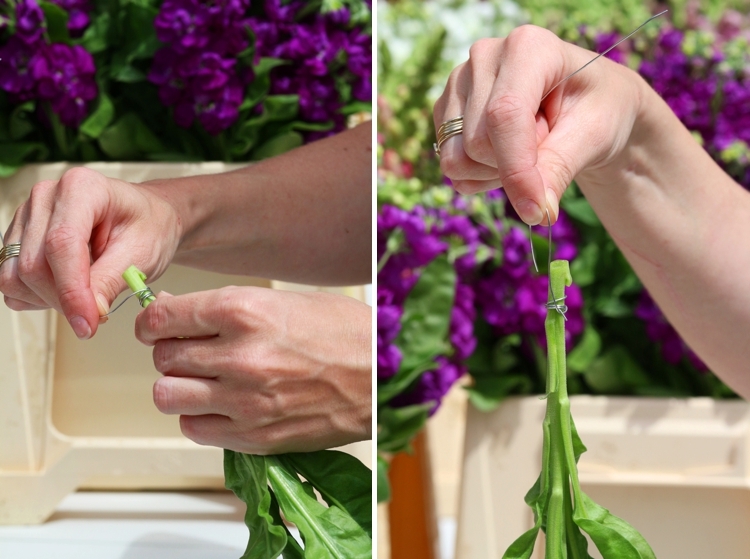 Cut all your Stocks down to three different lengths and using thin wire pierce a hole in the stems about an inch from the end. Thread the wire through, wrap a few times, then cut the wire and create a hook. 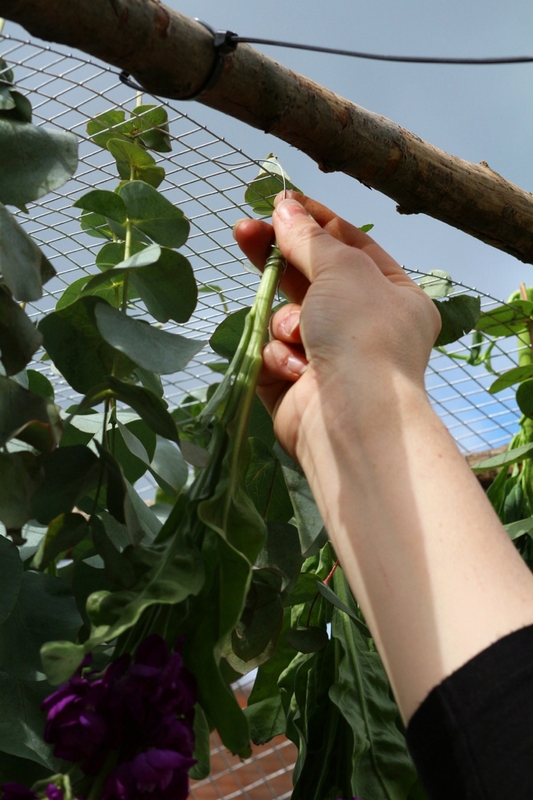 Starting with the shortest length stems first, begin at the front, middle of the Chuppah and start hooking the flowers onto the chicken wire, between the Eucalyptus. As you move towards each side of the Chuppah, start adding in the longer length flowers and eucalyptus so an arch starts to form. 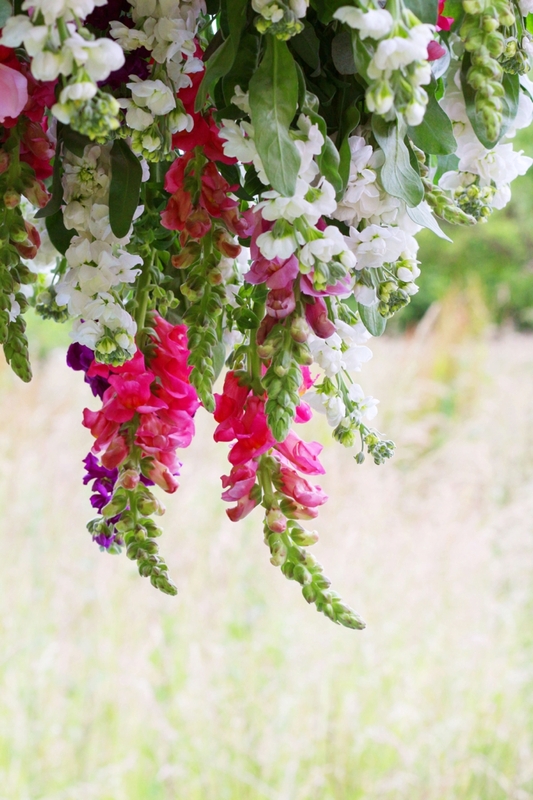 Spread out your colours well so there is an even spread throughout the ceiling of white, lavender and pops of purple. 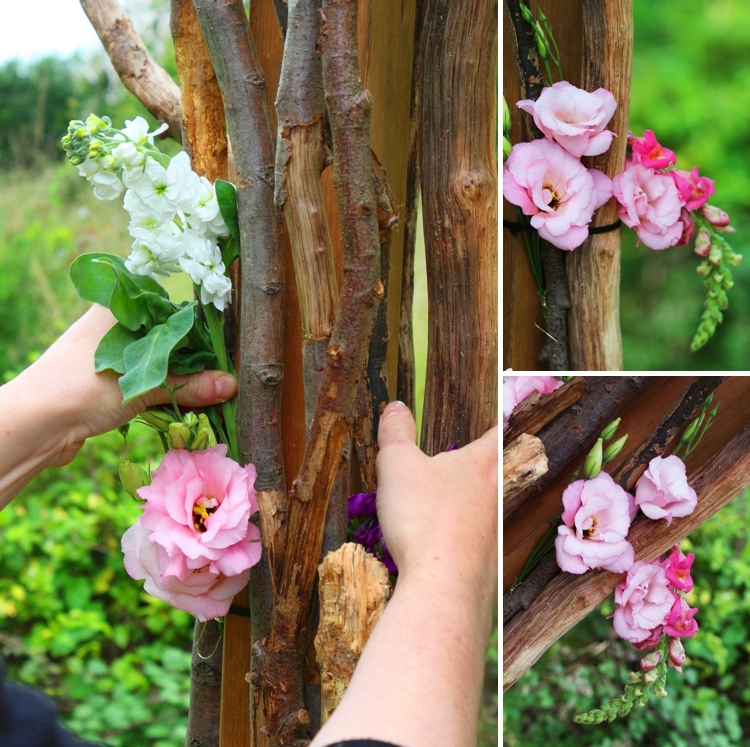 As you move towards the centre of the Chuppah, start adding your very longest stems into the middle so it looks as though a flower chandelier is hanging down, and the outside edge is where you will use your shorter stems. 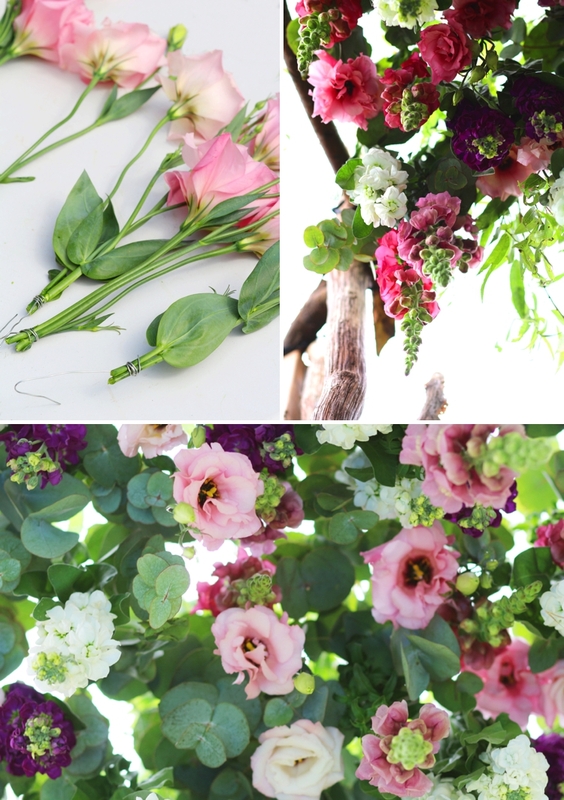 Once you have hung all your Stocks and Eucalyptus, start adding in your pink Lisianthus. These will need to be cut down to shorter than the stocks, roughly 10 cm, and fill in any gaps in the ceiling where you can still see the chicken wire. 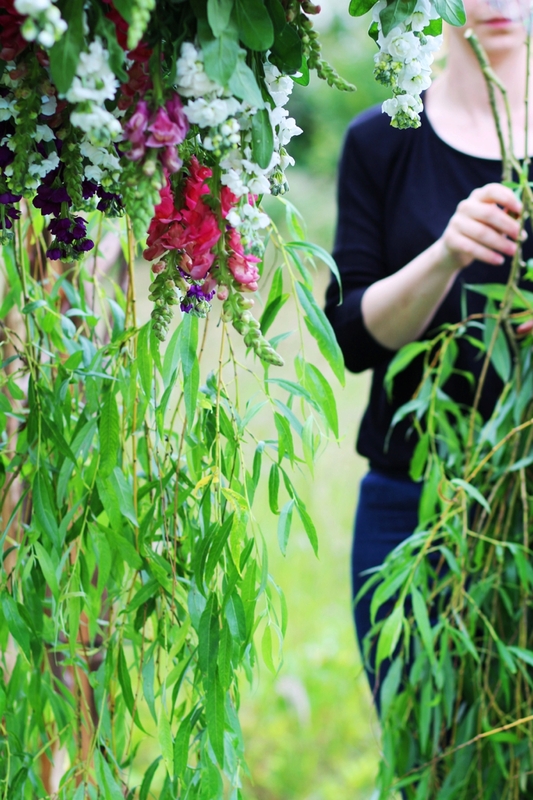 To finish off, hang any greenery you can find from your garden (willow is ideal! 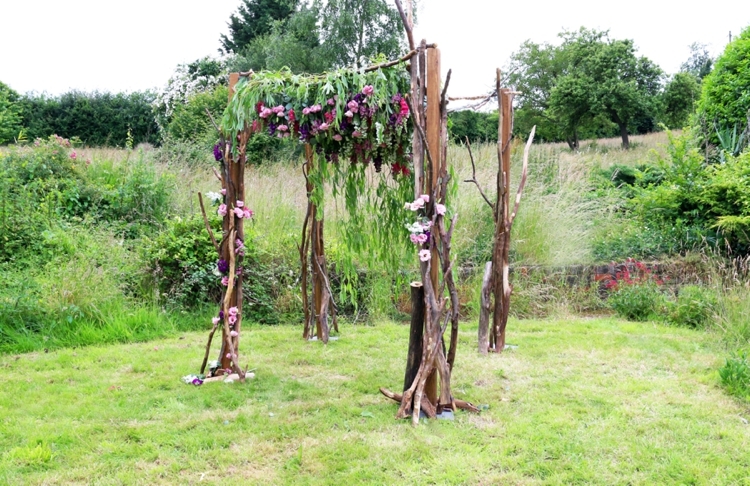 ), over the top of the Chuppah to block out any gaps that may still remain. 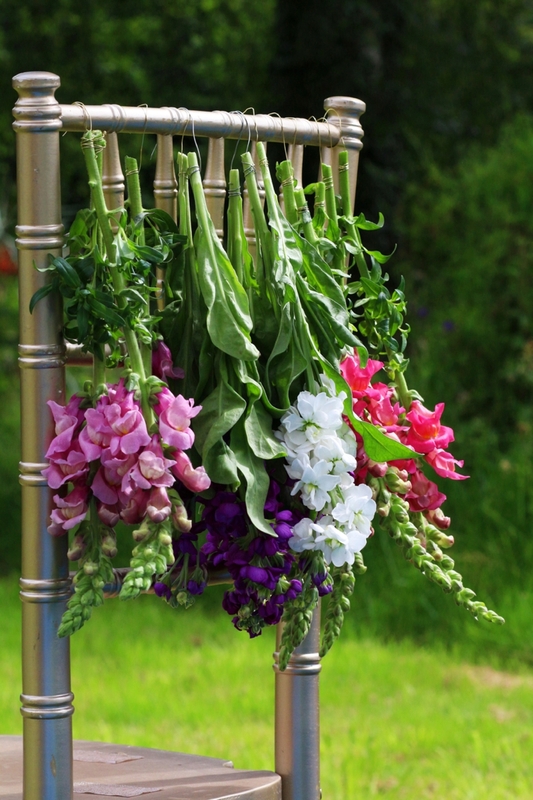 Let this greenery hang slightly over the front to soften the look. Now it’s time to tidy up your design. 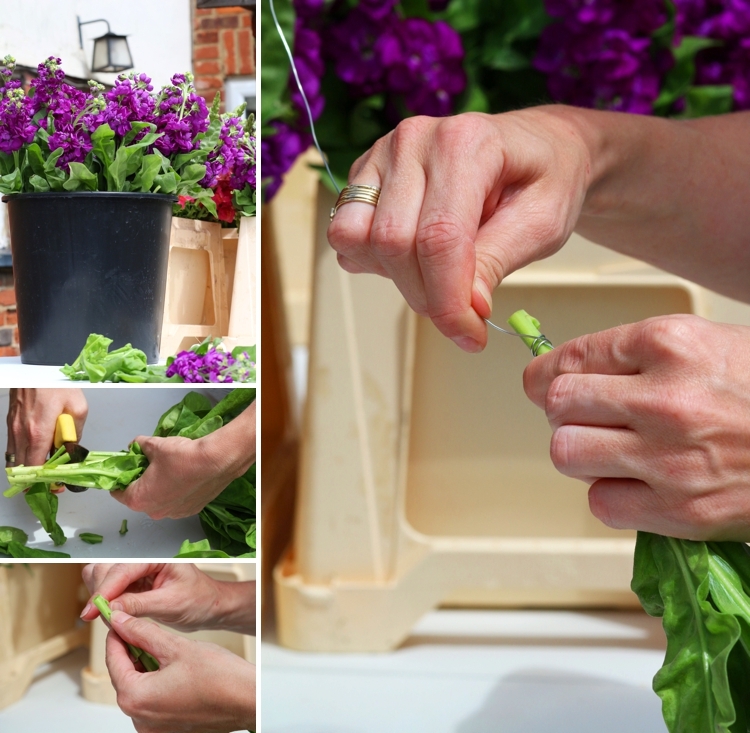 Trim down any visible cable ties, and cover with clusters of left over flowers. These won’t need to be secured, just make sure they are positioned snuggly between the branches, twigs and cable ties. 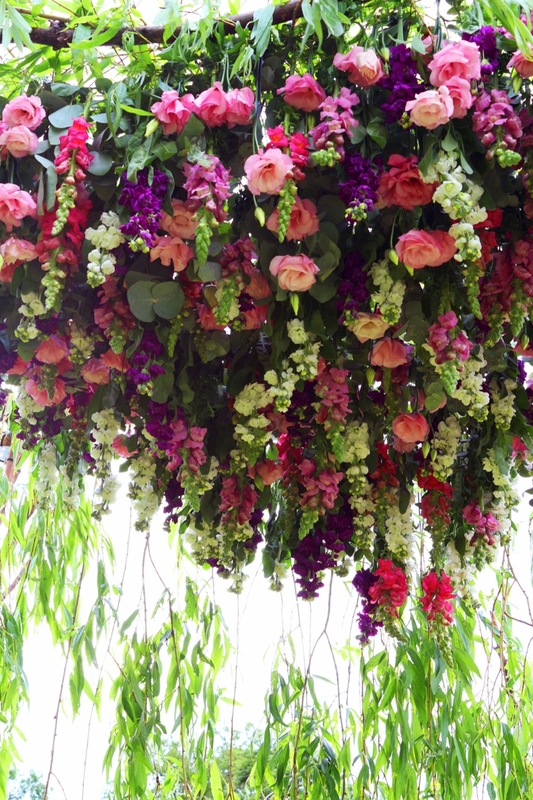 Finally, cover the base plates with left over small twigs, branches, and any other greenery and flowers that didn’t get used for the ceiling. 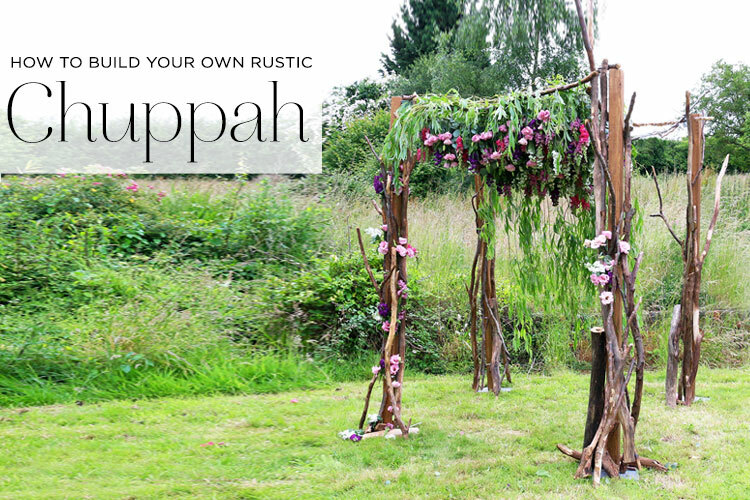 And there you have it, you’re own breathtaking rustic Chuppah! 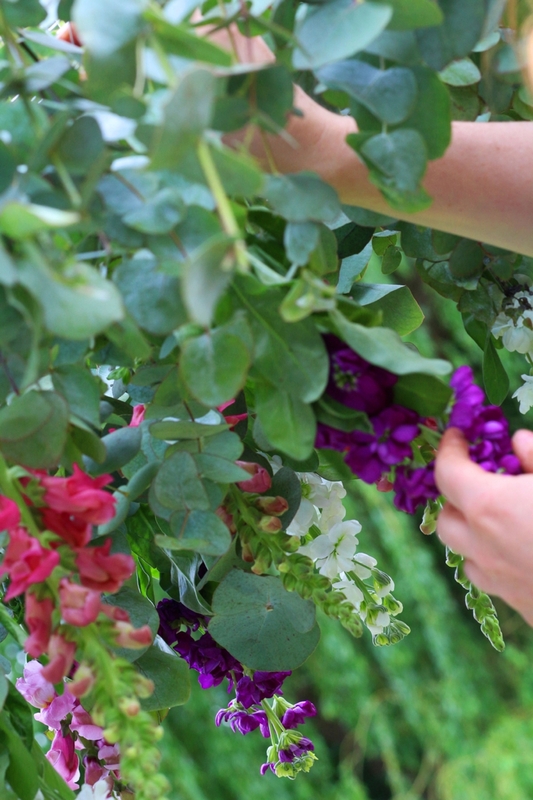 Revival Rooms is a luxury wedding floristry and planning company that transforms your weddings and events with innovative style and beautiful blooms. 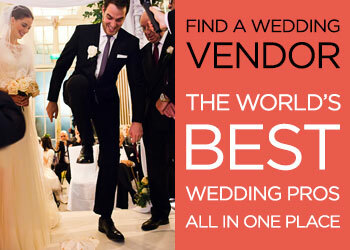 We create spectacular events for clients who are looking for something unique and special. Our team of specialist designers and planners all strive to produce trend setting events and creations. 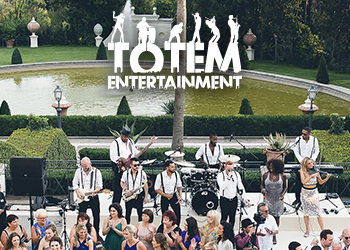 We take the stress away from planning events and make the process enjoyable and as much fun as the event itself. 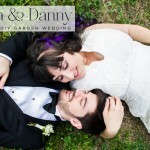 All our weddings are completely unique and tailored to each very different client, so you can be sure your guests will have never been to an event like yours before. Our extremely high standards, pride in attention to detail, and dedication to our clients ensures their visions turn into reality.